Even if you’ve tried rock climbing indoors, nothing compares to the real deal: scaling crags and slabs outdoors, says world-class climber Steve Bechtel, C.S.C.S. “When you’re out on the trails and rocks, you start to lose the ‘work’ part of workout,” he says. For the most “pure” form of climbing, try bouldering. You don’t have to mess with ropes or safety gear—it’s all movement—and it’s a great prep for climbing. Or catch serious air while paragliding. You’ll need to take classes certified by the U.S. Hang Gliding and Paragliding Association, but few thrills beat running off a mountain to catch a pocket of hot air with your fabric wing, soaring high for hours on end. If you think pullups are the best exercise for rock climbing, think again. 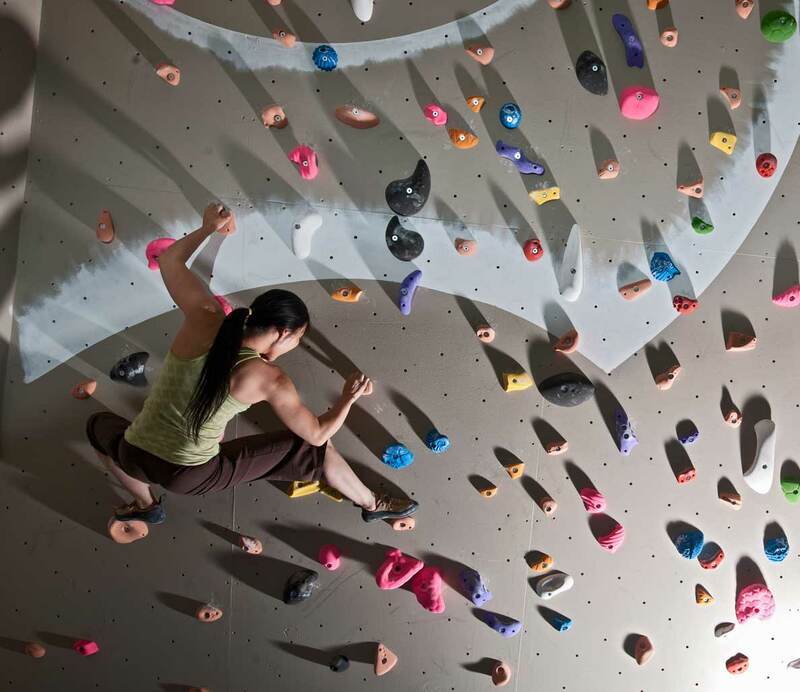 “Climbing is great for developing upper-body strength, but if you rely on it, it’s going to destroy you,” Bechtel says. Instead, your goal is to get your legs strong in the single-leg stance, while upper-body exercises will help you develop your core. Upper Body: Knees-to- Elbow: 2–3 sets, 10 reps; inverted Row, either on a bar that’s attached to a power rack or with the TRX.